If you have the feeling the world is going stupid then you may be right and this t-shirt could be perfect for you as it tells the story. 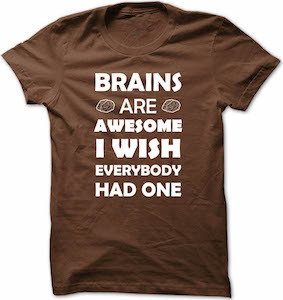 On t-shirt, it shows two small brains and around it in big letters the text “Brains Are Awesome I Wish Everybody Had One”. I guess we can only wish that people have brains and it seems like fewer people have them these days. You can get this amazing t-shirt in a men and women’s version and it is available in a wide range of colors and in sizes Small – 5XL and all are made from 100% cotton and the design is available as a hoodie too. Do people call you a smart cookie? If they do then get this smart cookie t-shirt. 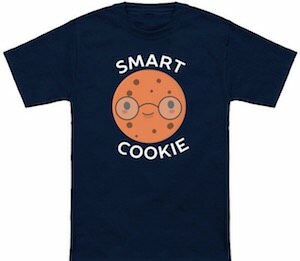 On the shirt, you can see a smart looking cookie and it has a face and even wears glasses and around the cookie, it says “Smart Cookie”. You can get this amazing cookie t-shirt in styles for men, women, and kids and it is available in many sizes and colors so that it looks great on you. 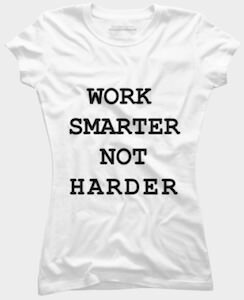 So show the world you are a smart cookie and if you know some smart cookies then surprise them with a fun t-shirt like this one. If you are like me and don’t really know how to spell anything then the writing on this t-shirt could be yours (or mine). 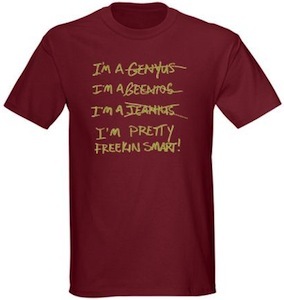 So the person who wears this t-shirt was trying to spell “I’m a genius” but tried and came pretty not close a couple of times and then went for “I’m Pretty Freekin Smart!”. Of course this amazing funny t-shirt comes in a range of colors and styles for men and women (because they can be geniuses to).